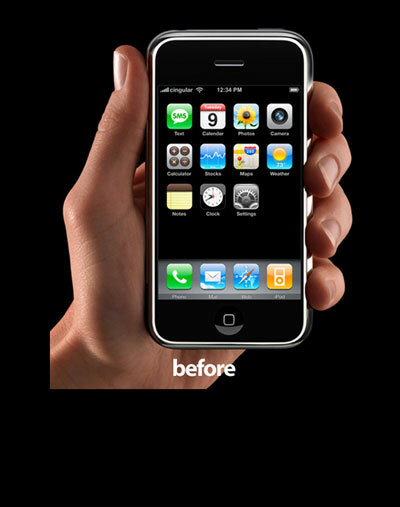 Engadget recently ran a story highlighting what a different hand-model can do for the perceived size of the iPhone. The results are pretty interesting. Here are the two images, with the iPhone set to the same size in both. Mouse over the image below to check it out.